I've enrolled in this online design class called DesignLab and things officially kicked off on Jan 8th. Every week, we work with mentors to learn and understand the basics of design. 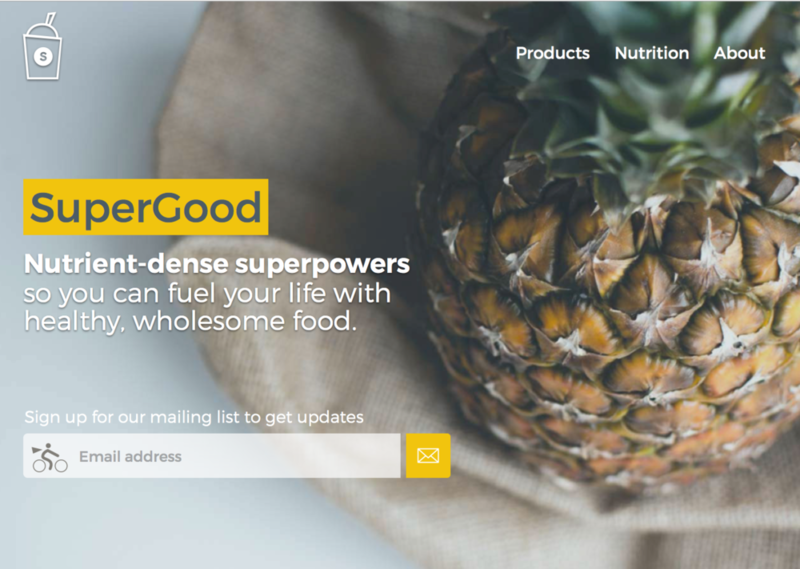 Our first task was to create a landing page for a product called SuperGood Foods. 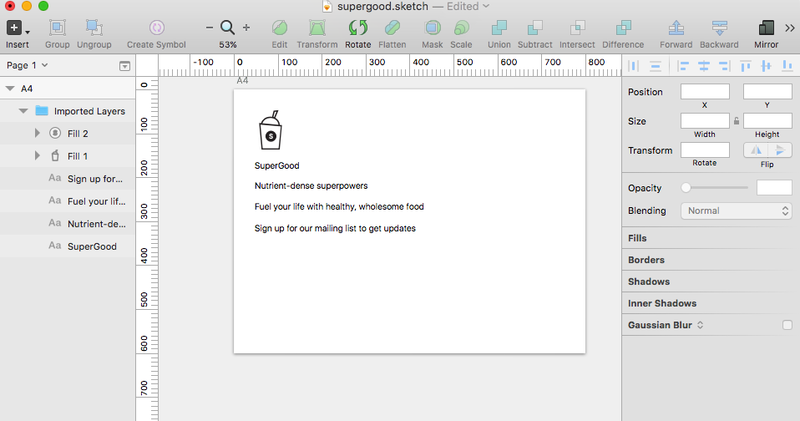 We were given a basic sketch file and asked to create something that met the client's needs in terms of messaging and positioning. I'll keep better track of design iterations going forward, but here's the raw, v1, and v2. I'm still not feeling close to 100% on this, but I'm not sure what specifically needs to be tampered with. Maybe I'll revisit this design as I get further in the workshops.